I don’t know if it is Bella growing up way too fast but lately I have serious baby envy. Maybe it is Facebook with their memory posts that remind me of how little Bella was. 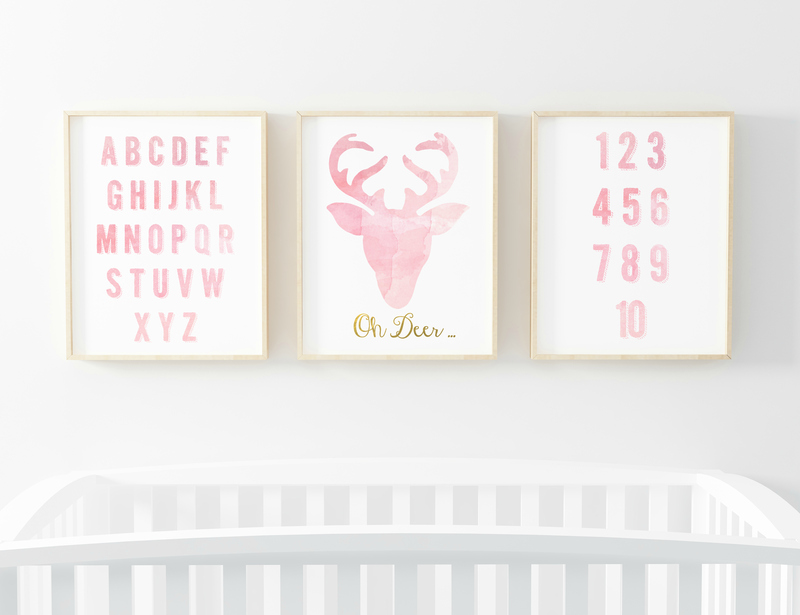 Either way, it inspired me to design a beautiful collection of free nursery decor printable’s. 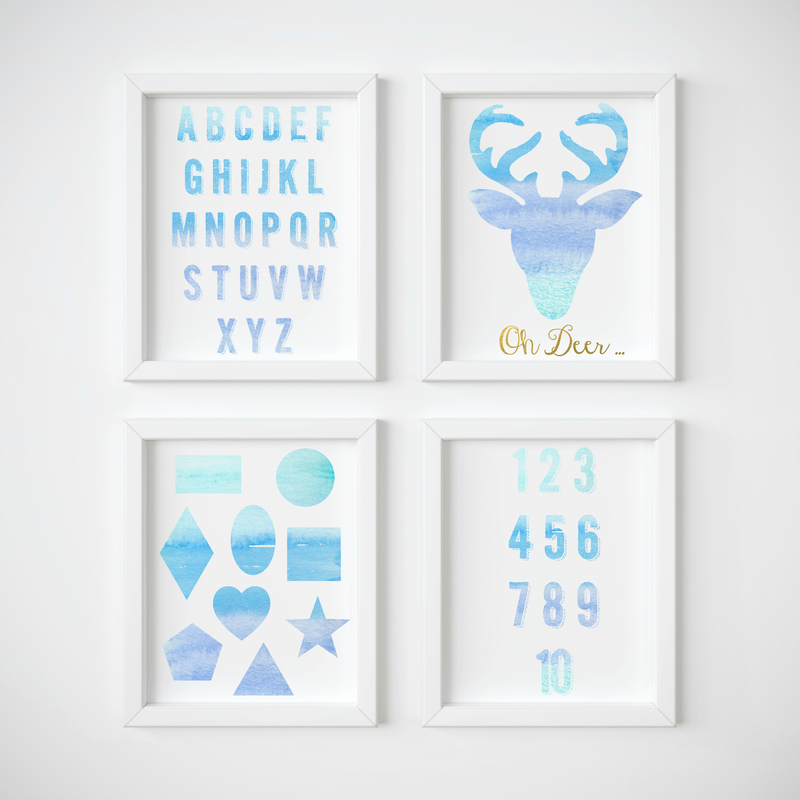 Watercolour wall art is absolutely beautiful and I knew that I wanted to incorporate it into my designs. I also wanted to keep it simple. Something that wasn’t too cutesy or too old. 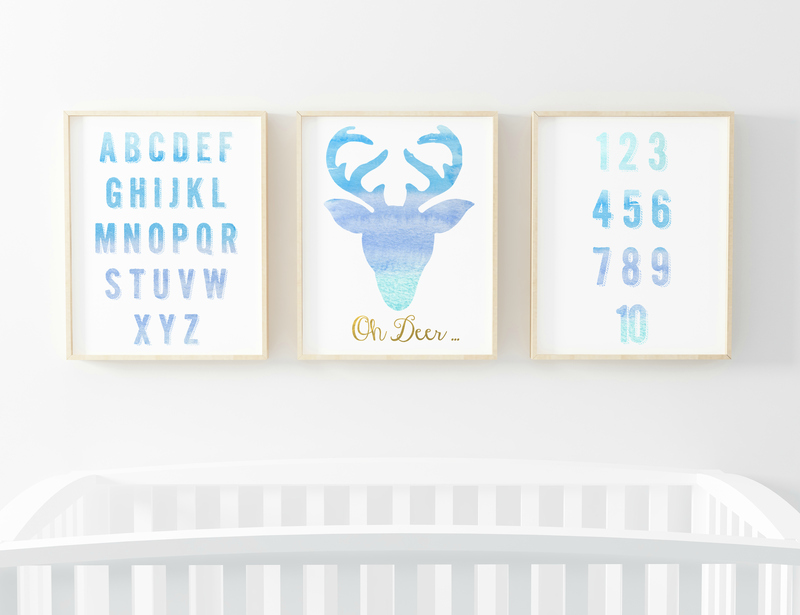 I think I nailed it and hope these beautiful pieces can grow with your little one. Decorating a nursery can get expensive. The other day I was out at a local store and I was shocked to see the pricing on some of the wall art pieces. I was extremely lucky that one of my best friends painted three gorgeous canvas’ for Bella’s nursery. Similar one’s would have cost me over $40 USD each. 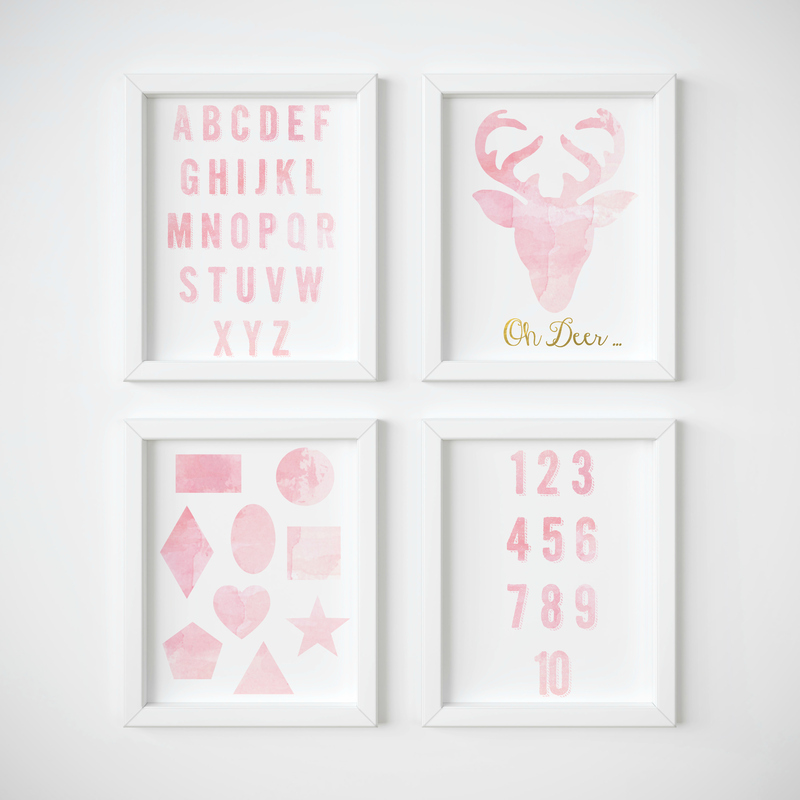 With these FREE watercolour nursery decor printable’s you can save some serious cash. Download the files below, then print at home or take the files to your local Staples to have them printed. I absolutely love the simplicity of these prints, and there are 4 prints in the set. They can also be educational once your little one is ready to learn their letters, shapes, and numbers. They go beautifully together and you can choose how you style them. You can print them to fit an 8 x 10 frame or you can scale them down to fit smaller frames if you wish. I already have this set on a USB stick so I can go to Staples to have them printed for Bella’s room. Of course I am in love with them because I designed them but I can’t get over how simple yet elegant they are. 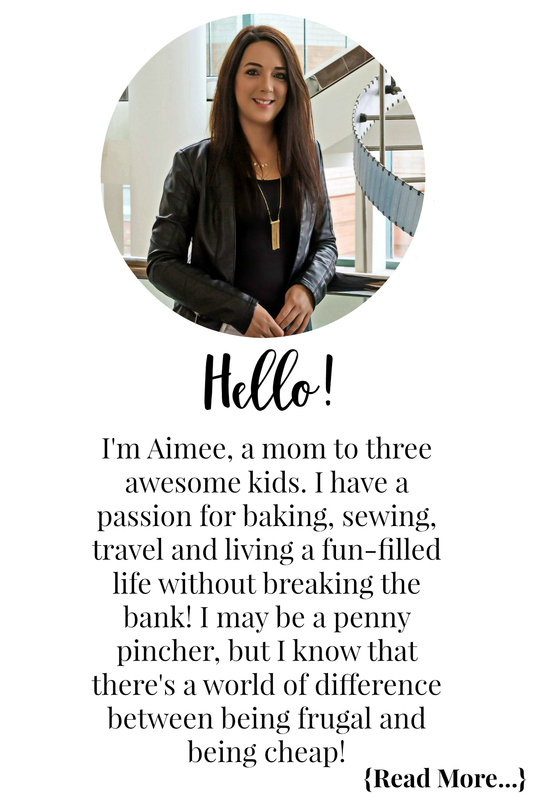 Don’t forget to check out all the other awesome free printables I offer on the blog! First time Momma here… Due December 3rd. Thank you for the printables. I’m in love! How exciting! My Bella was born in late December. You are very welcome and I am glad you love them!